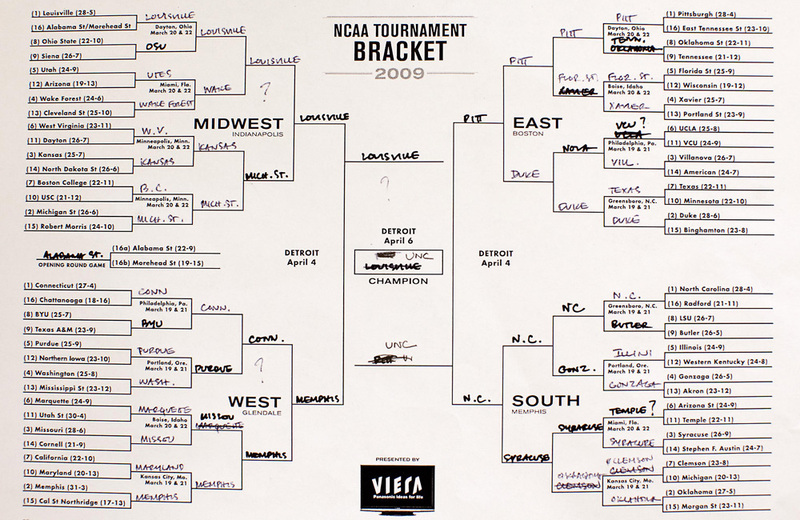 Barack Obama's NCAA Tournament picks are finally live. Seemed to pick Louisville to go all the way before flip-flopping and taking UNC (who he didn't even seem to have beating Pitt, originally). That's a lot more intrigue than he has in the rest of his bracket, which seems pretty chalky. Looks like he was high on Clemson before thinking better of it, and somehow got sold on Florida State.